... okay, now that I've collected myself ... we are talking northwest Spain, in the region of Castilla and León. 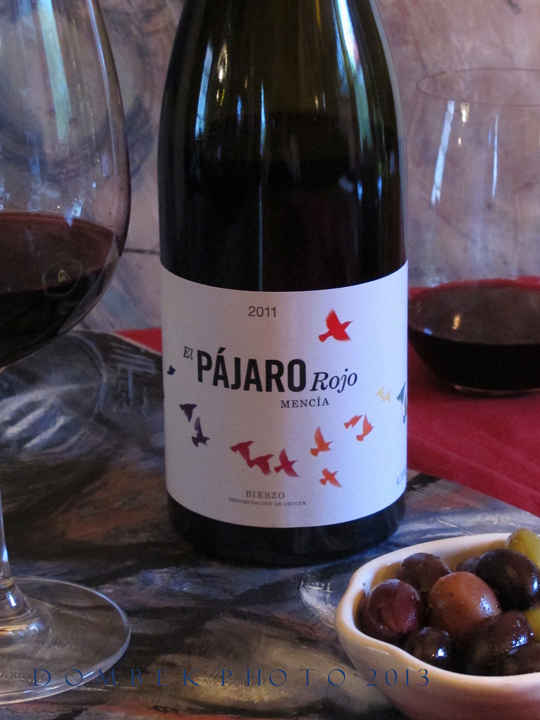 This vineyard spans more than 2,600 hectares, located in a valley and bordered by mountains. To the north by the Montes de León, to the south by the Azuilianos. Terroir consists of shale, sandstone and loam, in a semi-humid, Continental climate. Yes, this makes sense! Established by Bierzo winemaking veterans in 2004, Losada Vinos de Finca was established in 2004, an ultra-modern facilty in the midst of old Mencía vines. The vines are farmed organically and undergo malolactic fermentation in French oak, with low yields. Winemaker Amancio Fernández. Imported by Classical Wines, Seattle, WA., distributed through Dendor Wine Management. Not presently in greater Portland area, however ... if you inquire at your local vendors, they may procure it through SoPo Wine Co., South Portland, ME. Around $17.99/btl. Yes, Please! Grapes: 40% Parellada, 36% Macabeo, 18% Chardonnay, with a touch of Malvasía de Sitges. Blanc Selecció satisfies that yen! Light straw yellow in color, like lemon chiffon or light golden champagne, this wine has lemon schist on the nose, even the slightest touch of petrol, imbuing it with a serious minerality. Crisp and clean (even rich) with lively/zesty acidity and notes of green apple, stone fruit, lime citrus and white pepper, it's like a limeade surf wave (if there is such a thing!). I Love it! Enjoy with scallop ceviche and of course oysters on the half shell! 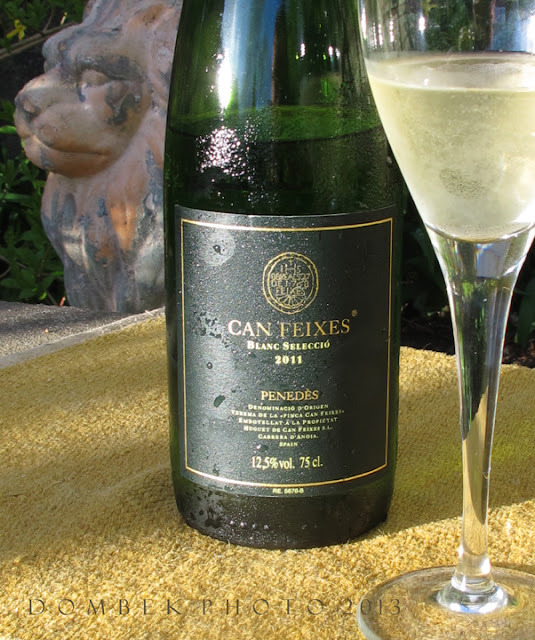 The family-run estate of Huguet de Can Feixes is located in the foothills of the Upper Penedès, within the region of Catalunya in northeastern Spain. An historic estate, it was originally founded in 1768 by Don Jaime Feixes and later acquired by the Huguet family in the 19th century, who continue to steward their lands with great care and respect for the environment and terroir, producing wines of high quality and limited production. Vineyards are located at high altitudes on gravelly mountainside slopes. Rocky and chalk clay soil, along with extremes in temperatures result in slower ripening and yields, but with greater concentration of both fruit and character. Parellada (locally known as Montonec, or "grape of the mountain") and Macabeo are the major grapes in Cava, Spain's sparkling wine. The lively quality definitely comes through in this wine. Malvasia de Sitges offers that touch of richness and the Chardonnay a certain finesse. This wine is brought to us by Classical Wines, Seattle, WA., Importer of quality, individual family vineyards in Spain & Germany; Marketed/managed by Dendor Wine Management; and while not yet available in Maine, it would be represented/distributed by SoPo Wine Co. in the event they choose to do so. Yes please! Suggested retail price: $15.99. Ask your local wine store or restaurant to bring this in this summer!